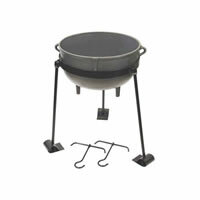 Feed over 65 adults in one sitting with this 7 gallon cast iron jambalaya pot by Bayou Classic. The 7 Gallon Jambalaya Pot by Bayou Classic is a three legged cast iron jambalaya pot used for medium sized family gatherings or for commercial applications. 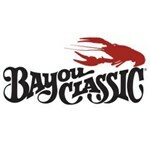 There are no other cast iron jambalaya pots available by any other manufacturer that meet or beat the quality of the Bayou Classic jambalaya pots. The quality of this jambalaya pot is EXCELLENT!